Alligatoring is a rooftop condition that occurs when the seams open up or the tar and gravel cracks. This commonly happens to most tar and gravel roofs at the end of their lifespan, which is typically 10-12 years. In most cases, the roof should be replaced as soon as possible. Copper is an expensive material that is strong, durable, rust-resistant and nearly maintenance-free. It will weather green unless you coat it with a clear sealant. It also needs to be installed by a professional. A roof’s deck consists of sheathing and underlayment called roofing felt. The material used to finish the roof determines deck types. Most roofs require solid plywood or oriented strand board sheathing, while wood shingle and tile roofs need spaced board sheathing. Dormers create additional openings in your roof, which will affect your roof installation. One notable area is at the joints, which will need to be sealed with metal flashing. 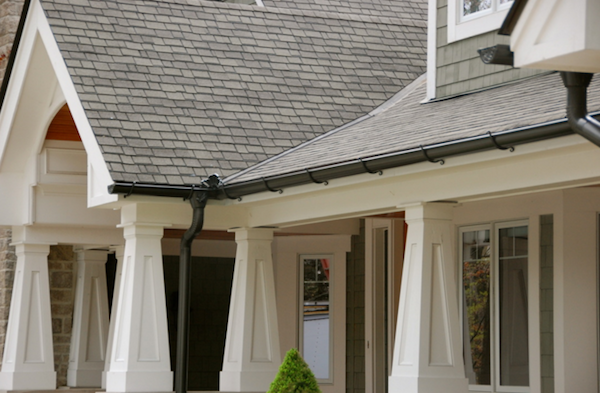 The style or dormer can also affect your roofing material. A shed dormer will decrease the slope of your roof over the opening. A gabled dormer often has higher pitches which will shed water more easily. Fascia board is the exposed end of your roof. The gutter is normally attached to this.